The legal status of domain names is one of the most hotly debated topics with regards to evolving property rights and how they should be applied to technological and intellectual property ‘innovations’ in cyberspace. At present, there are two opposing factions on this topic: On one hand, there are those who maintain that domain names should be considered as contracts for services, which originate from the contractual agreement between the registrant and the registrar. On the other hand, we have the parties who contend that domain names are intangible property rights that reside with the domain name holder. As the law has evolved, property has been defined as “an abstract right or legally constructed relationship among people with respect to things” or “a bundle of rights, powers, privileges and immunities that define one’s relationship to a resource.” These theories have been beneficial more so for normal property rights, but law courts have found it quite challenging when attempting to determine how these concepts apply to domain names. In this theme report, I will discuss service contract rights and the ‘bundle of rights’ property theory, as well as examine case law in a number of jurisdictions, and present an argument for why domain names should be considered as ‘property rights’. 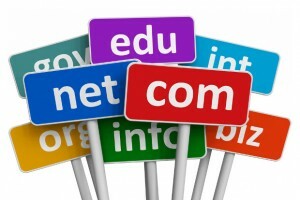 A number of courts have categorized domain names as contracts for service. This in itself is not incorrect, as domain names are transferred to an individual through a contractual agreement between them and the domain name registrar. The role of the registrar is to provide a functional mapping and translation between the domain name and an IP address. The registrant maintains their right to the domain name as long as they pay the associated fee to the registrar and ensure that the domain name is not utilized in bad faith or infringes on the intellectual property of others. An analogy has been made between domain names and telephone numbers, accompanied by an argument that both domain names and telephone numbers are allocated and ultimately managed by either a registrar or a telephone company, and as such should be recognized as a contract for use and services. Hence, a person who registers a domain name or is assigned a telephone number is simply the contractual holder of that resource and does not become its owner. Ownership remains with the registrar or phone company.